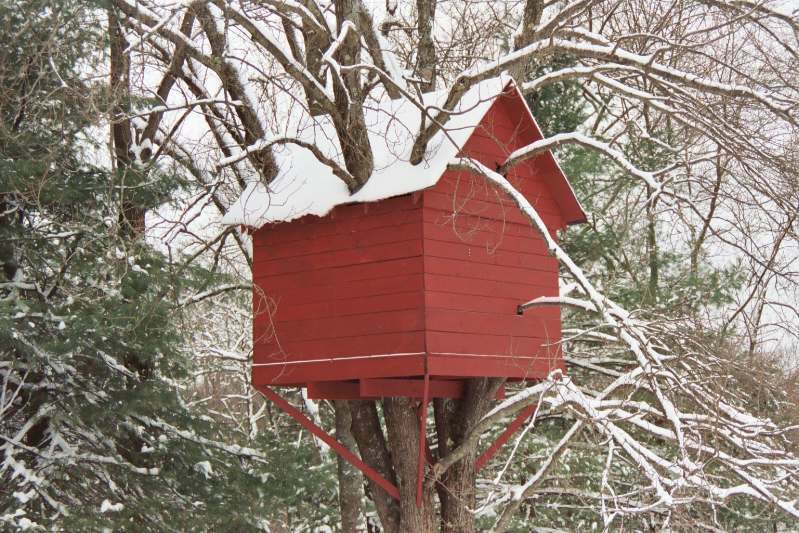 In the summers of 2003 and 2004, the perfect treehouse took shape in a four-stem maple in the back yard of a house in Acton, MA. 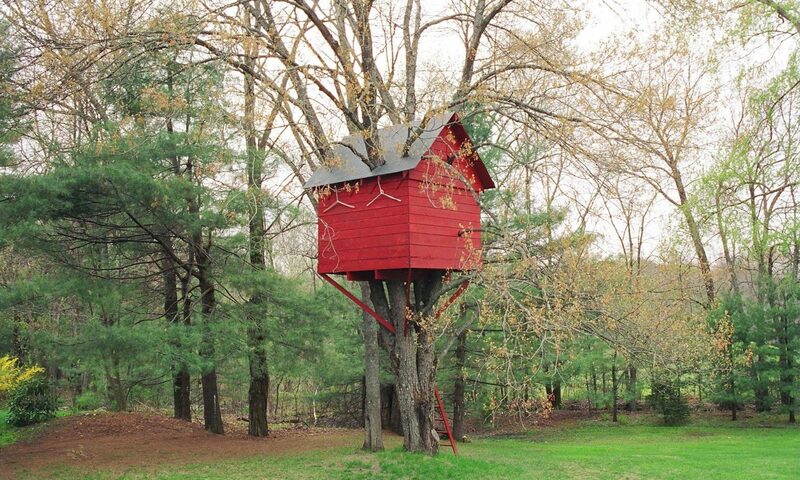 The treehouse was built by @ErikJHeels and his kids. This is a video tour of the treehouse. It’s been a few years since my treehouse project, but here’s what I remember about construction. The summer before I started, I had an aborist install criss-cross anchor wires to the four stems (i.e. in an “X” configuration), about 10 feet above the top of the roofline. This makes the (inherently insecure) multi-stem tree more secure. The lowermost 2×8 pieces are attached to the tree with lag screws (big ones). The box that sits on that is attached to the 2×8 with brackets (I believe). The pics and videos give you a good overview of the project. The above book was essential for me. My foundation is based on a design from the book. The rest I had to improvise. How does one build a treehouse? One piece at a time. Wonderful house. Just the color of ours. Now to build a tree house.